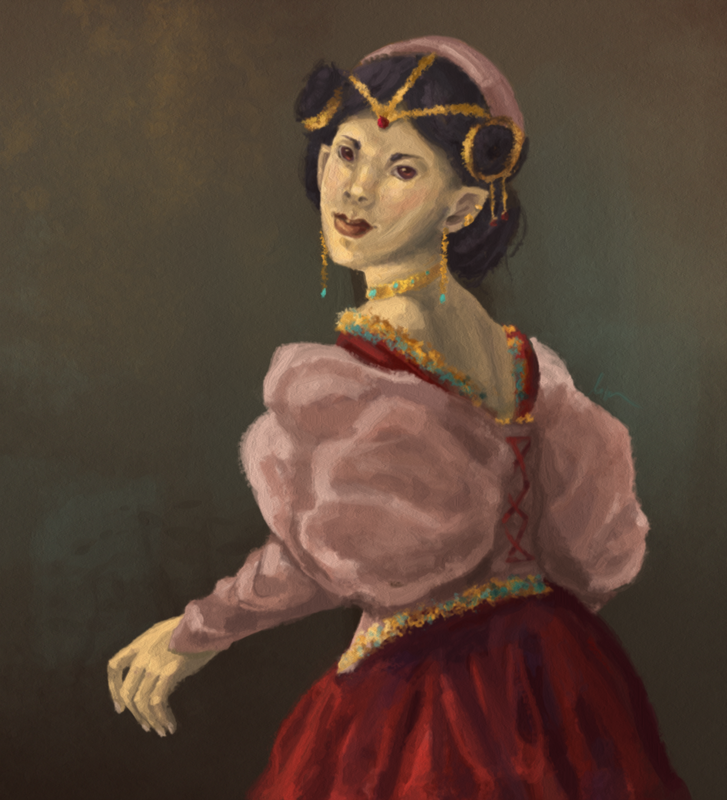 I decided to make an art thread so I don't end up cluttering "Fan Media" with small threads of various works, and I can just update this as I make new things. Art is on reply #1 so that it doesn't stretch the webpage on later pages, should there be multiple pages to this thread. If you're interested in commissioning me, feel free to browse the art here (or visit my Tumblr) and get a feel for styles, then PM me here or on Discord (Elsy#2238). My prices can vary depending on what exactly you have in mind, but I'm willing to work out deals and do art trades when I have the time. If you just want to chat or have a question about how I do something, or my set up, PM me! This is not all the art I do! 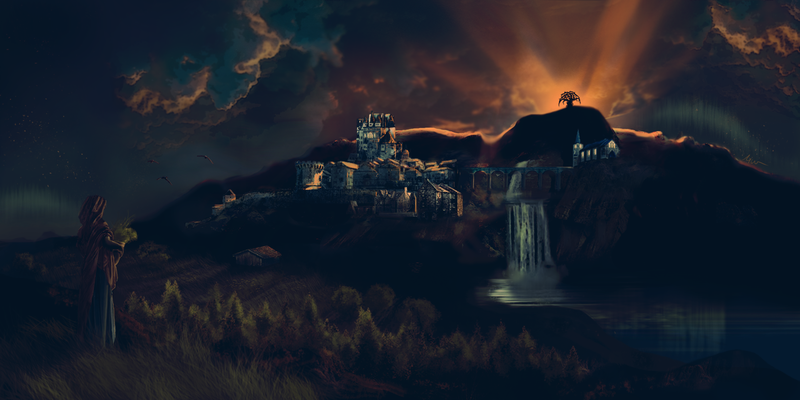 I like to do Elder Scrolls Art when I'm not drawing Elyria. See more art here. Anyway! As always, feel free to leave constructive criticism, questions, suggestions, etc. Enjoy! My favorite things to do. 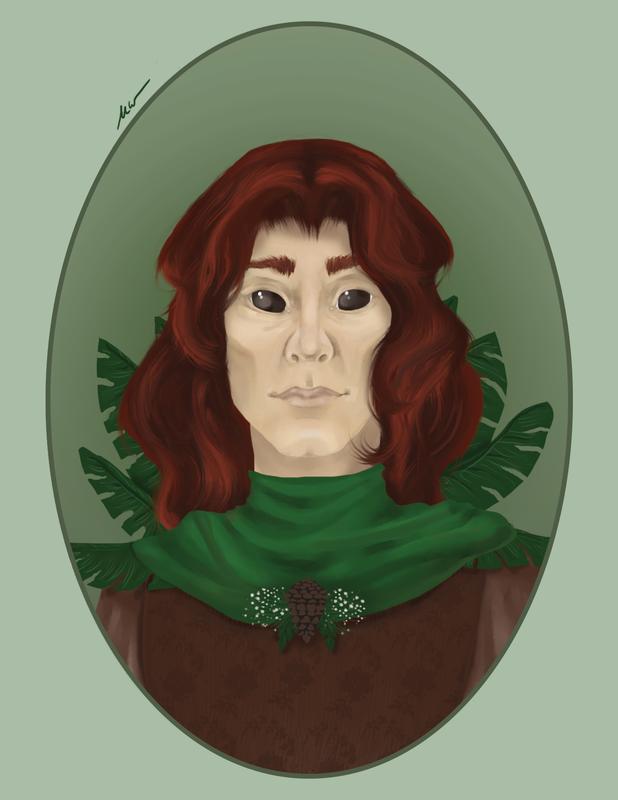 I'm just fascinated with character art and writing (so it's no surprise I like to roleplay). 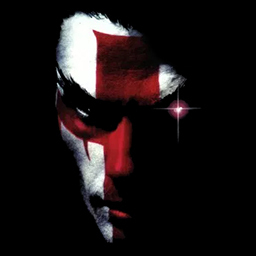 My dream job is to become a character concept artist. I find these meditative! It's like I can transport myself to another world without leaving my chair. The Creaking Ship — Story here. Bloodroot — Link for higher res here. My degree is not actually in fine arts (I'm sure the fine artists could tell), but in Graphic Design. 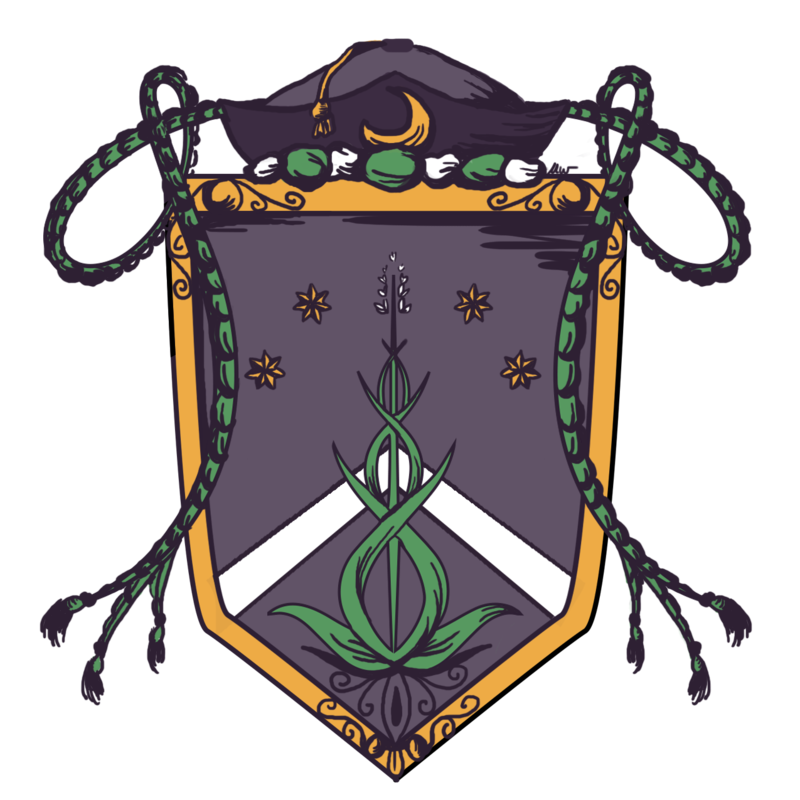 I love being able to do more fantasy-themed design, as the things I do in my day-to-day are often more advertisement/corporate. 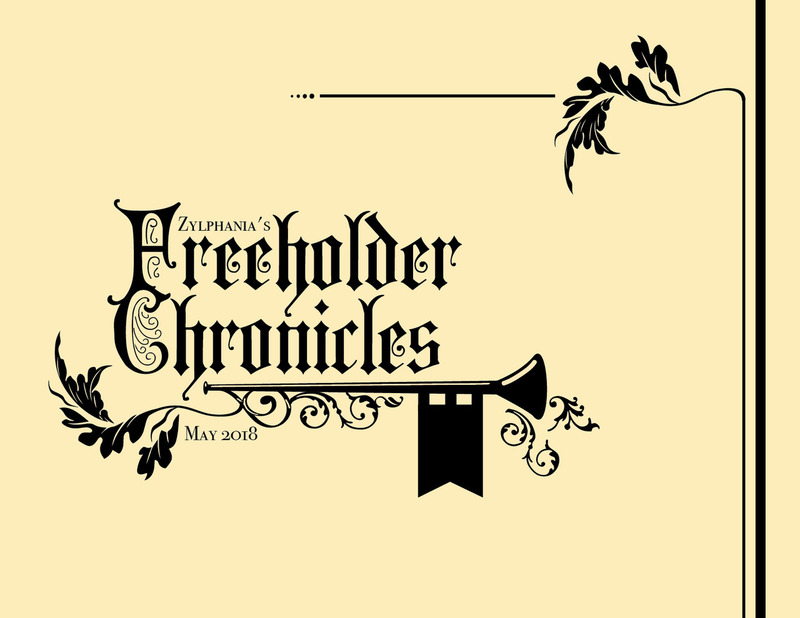 Secondary Freeholder Chronicles Logo — Read here. 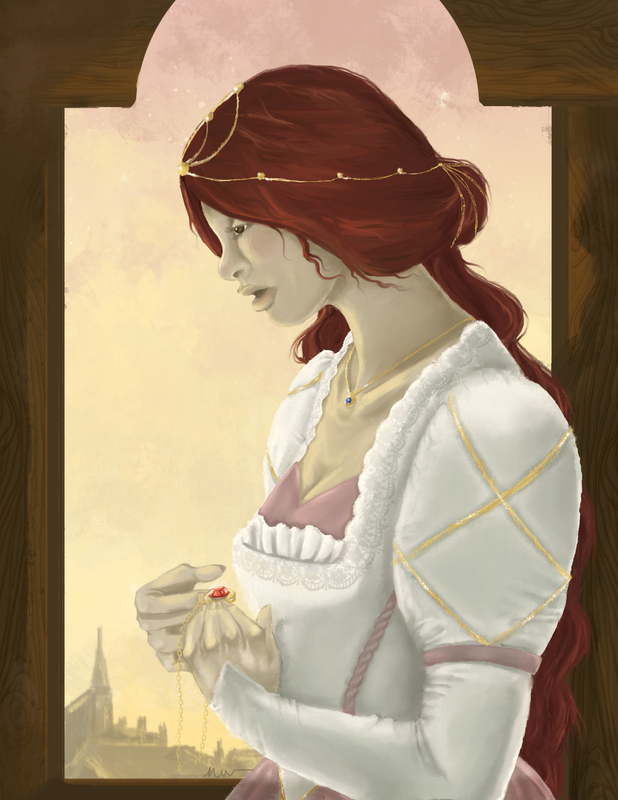 Beautiful work Elsy, I really hope we get to see more! That logo is downright enchanting! 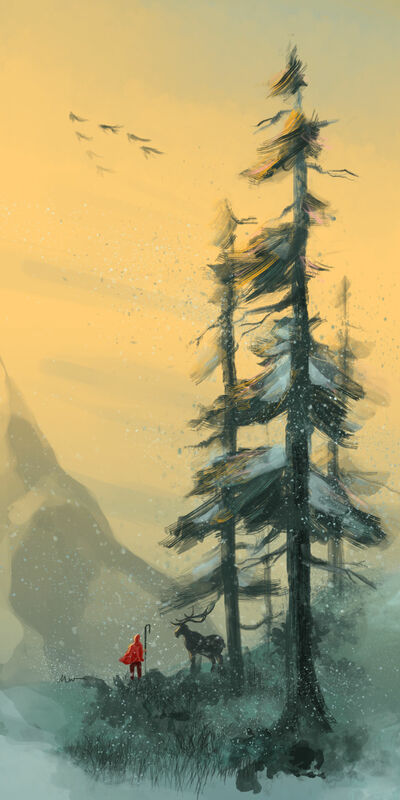 I love the colors in the Summer Alpines painting, too. 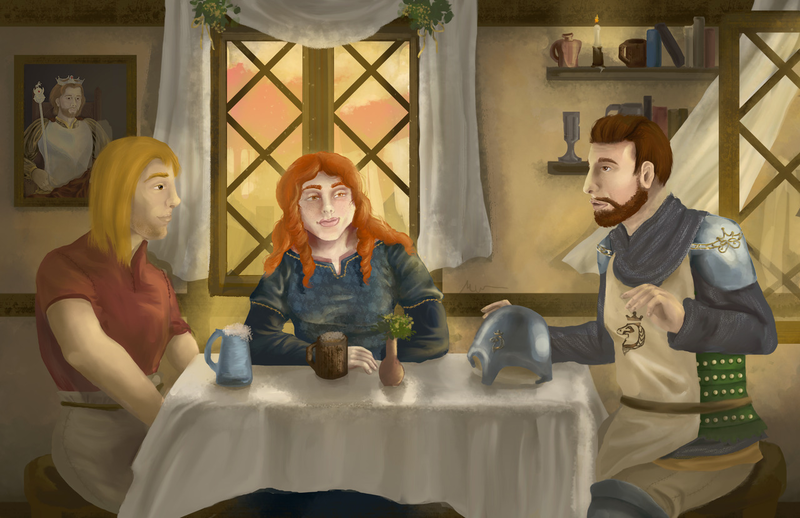 Three friends relax in a cozy tavern in the Duchy of Thearyn, as the sun sets on a pleasant day. The off-duty guard recounts a tale from the day’s patrol. Commissioned by Maulvorn. Read more about Thearyn here. As always, comments, feedback, and constructive criticism is appreciated! 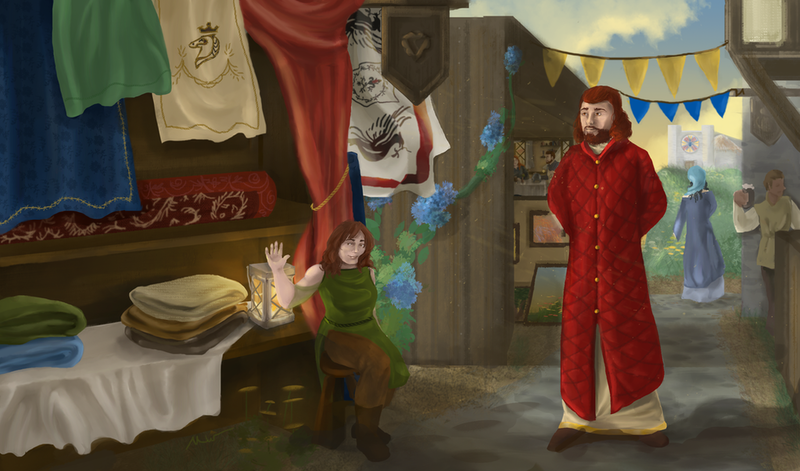 A skilled Hrothi merchant and artisan shows off her lux fabrics to the mayor of Saint Rothgards (Flawliss), a town in Thearyn. The market crowd thins as evening approaches and the shops prepare to close up for the night. Commissioned by Maulvorn. 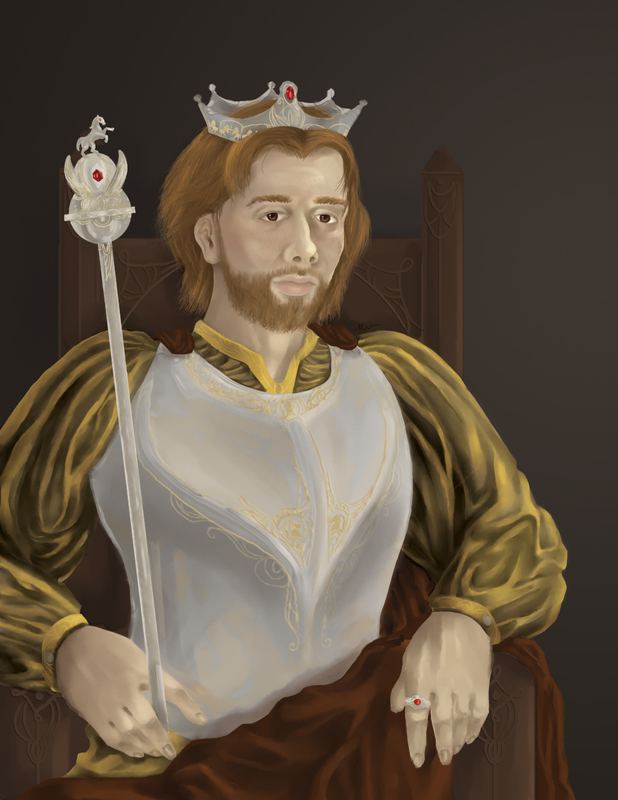 Read more about Saint Rothgards here. Bloodroot - Link for higher res here. A farmer looks out over the Bordweall landscape as sun rises on the capital city of Bloodroot. The tree of legend, the Bloodoak, is bathed in morning light. 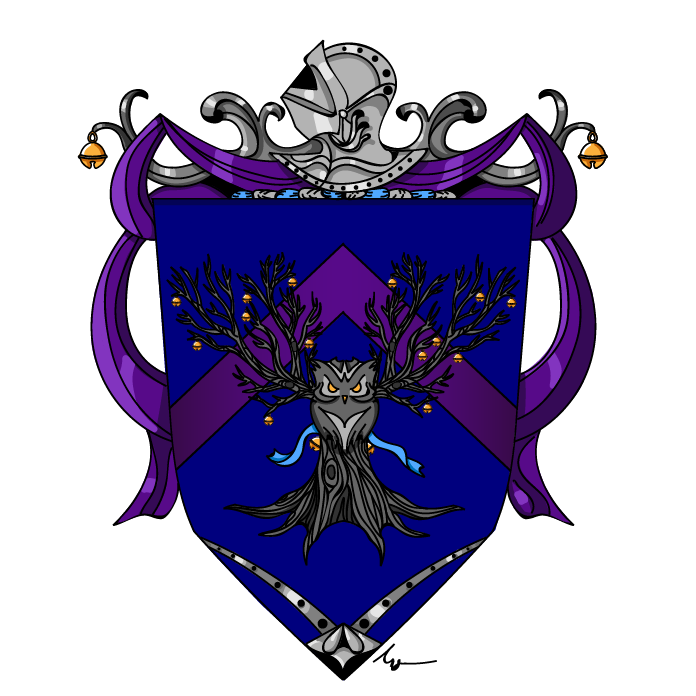 My entry for Huldric's Bordweall Appreciation contest. Tried some new techniques. This is part photo manipulation, part digital painting. PM me if you'd like to see the original photos. Unexpected Friends - Link for higher res here. 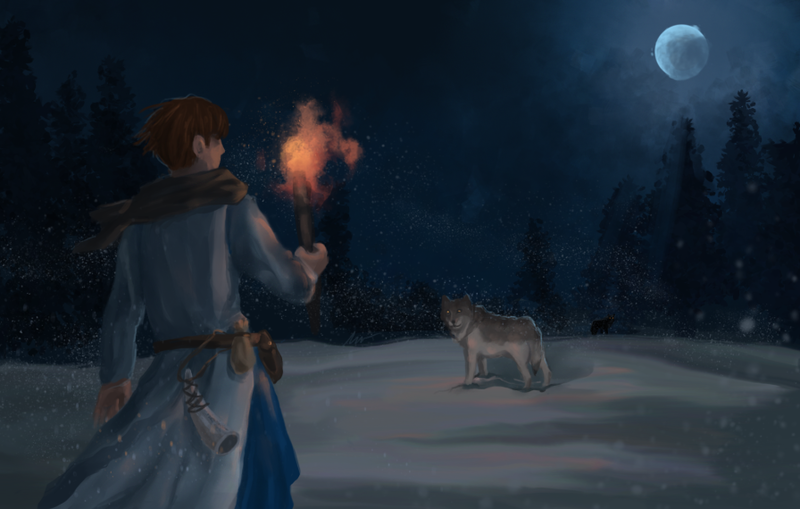 The two meet during the Longest Night, and an unexpected friendship begins. My entry for Nimb's Orphaned Puppies Initiative contest. Done in under 48 hours! Beautiful work!!! I love the style! Thank you! <3 I always love your stuff too! Did another one for another of Nimb's contests: Elk Herder - Link for higher res here. A serene mountain top where a herder tends to some elk. Done in under 48 hours! 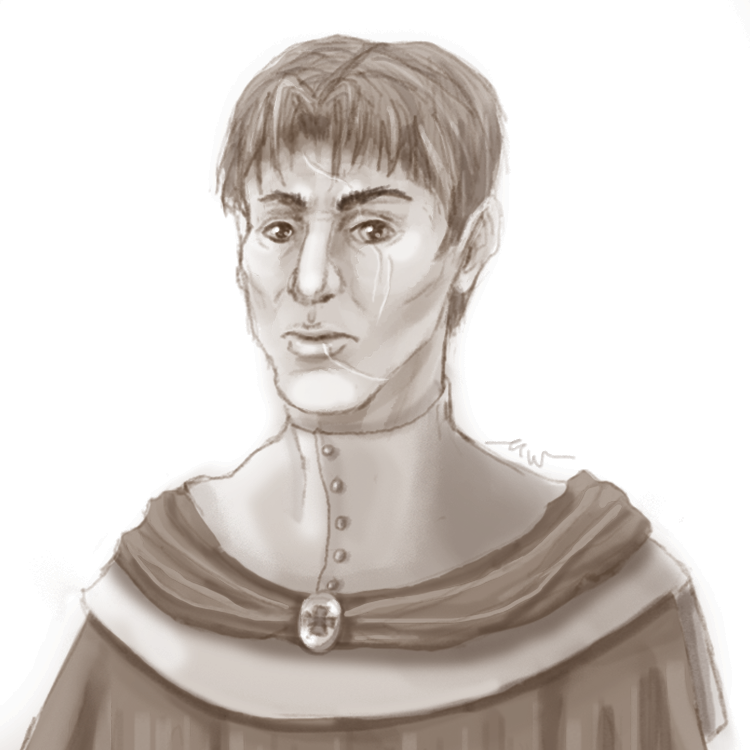 I'm trying to experiment with a technique that's a little looser and quicker.